Kapil Sharma, Sunil Grover Controversy is Taking a Very Bad Turn with Krushna Abhishek Entry! Kapil Sharma abusive behavior with Sunil Grover is going beyond words. Some people are supporting Kapil while some Sunil, Kiku Sharda is taking Kapil’s side while Chandan Prabhakar and Ali Asgar taking Sunil’s side. Recently, Kapil's rivalry Krushna Abhishek made his entry in this controversy and gave his opinion. Well, seems like he is much more than a rival and never step back, if he thinks the opposite. 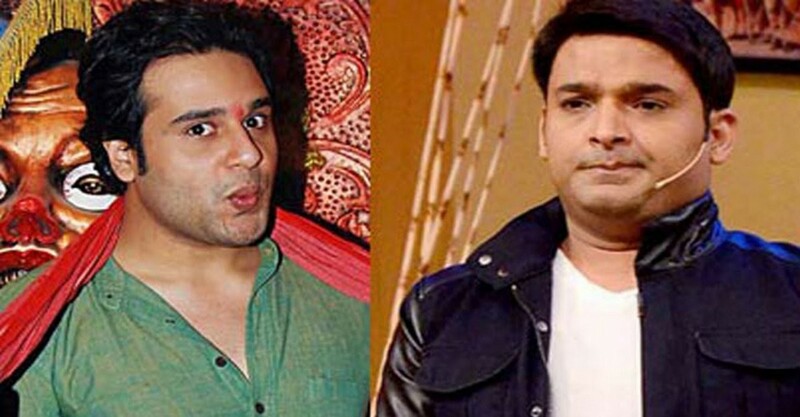 Both Krushna Abhishek and Kapil Sharma started their careers together in Comedy Circus. After it's finale, they both parted ways and started their own comedy shows. Krushna with Comedy Nights Bachao while Kapil with Comedy Nights Live. Their terms gone sour when Krushna took Kapil's showtime, show concept, set and channel and Kapil has to shift his show on some other channel with a different name. Well, now Krushna being vocal about his opinions and taking Kapil's side is quite impressive and shocking at the same time. Contact Us | © 2018 Celebo, Inc.